Don't You Look Like... ~ The Bucky Channel - The World of Sports from Wisconsin's Perspective. 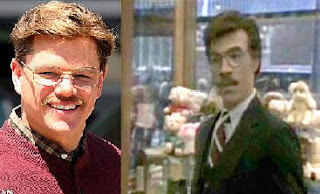 Matt Damon in The Informant! and Eddie Murphy in the classic Saturday Night Live sketch where he pretends to be white.